The Conference of the Birds - Description | W. W. Norton & Company Ltd. Award-winning translator Sholeh Wolpé recaptures the beauty of one of Persian literature’s most celebrated masterpieces. 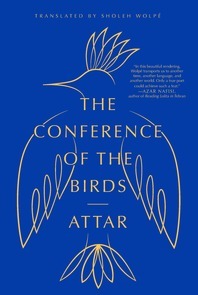 Considered by Rumi to be “the master” of Sufi mystic poetry, Attar is best known for his epic poem The Conference of the Birds, a magnificent allegorical tale about the soul’s search for meaning. The poem recounts the perilous journey of the world’s birds to the faraway peaks of Mount Qaf, in search of the mysterious Simurgh, their king. 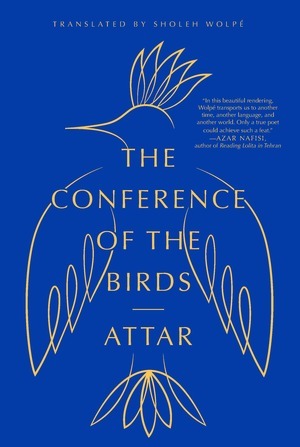 Attar’s beguiling anecdotes and humour intermingle the sublime with the mundane, the spiritual with the worldly, and the religious with the metaphysical. Reflecting the entire evolution of Sufi mystic tradition, Attar’s poem models the soul’s escape from the mind’s rational embrace. Sholeh Wolpé re-creates the beauty of the original Persian in contemporary English verse and poetic prose, capturing for the first time the beauty and timeless wisdom of Attar’s masterpiece for modern readers.